Which is best between the commonly available twin coil MF cooler and a Maxi 310? I'm probably going to find out soon anyway as I appear to have found myself the owner of both! Like which is quietest, which performs best, etc. Ha i would have suggested price and distance to pick up as being 2 major considerations, then features. as both my shelf chillers (1 maxi 310 (4x + recirc) used traditionally for dispense and 1 x unbranded 2line agitator fitted chiller used for FV temp control) were bought 2nd? 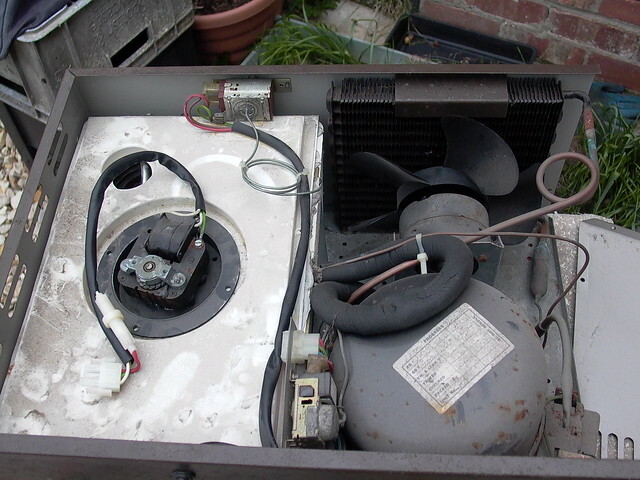 use, and the 2 line chiller somewhat worse for wear with some dead circuitry needing a bodge fix, my comparison of the 2 may not be representative or valid. But the 310 seems better insulated inside and quieter, though that could simply be due to age difference?? 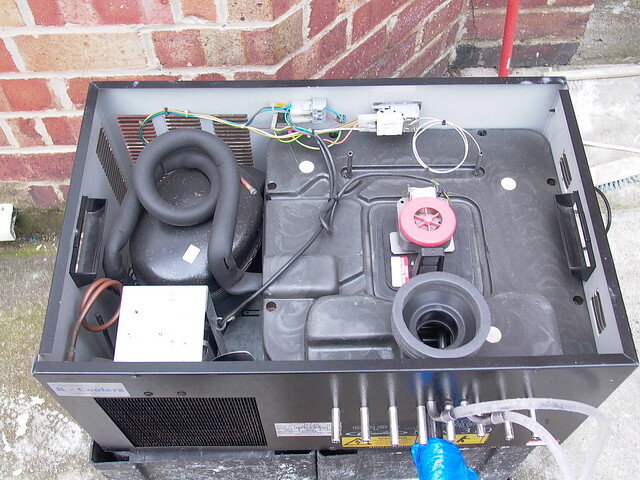 the waterbath of the unbranded chiller is made from thin and fragile what appears to be vacuum moulded plastic sheet with sheet polystyrene insulation (less than 10mm ) think 1970's ceiling tiles or budget coldbox insulation. while the maxi waterbath seems a more robust composite build of a firmer closed cell insulation material. I didn't open the maxi 310 further..
when sealed back up it runs for about 120-150 minutes before the compressor cuts out if ran traditionally, then cutting in for the odd upto 30 minute run depending on use.. The maxi 310 is used for dispensing and i keep meaning to mod it ever so slightly with a length of lighting flex to hook into the recirc power so i can control it (on/off) at the taps as i tend to run it only for a short 30-45minute run prior to an evenings gentle pourings for myself. 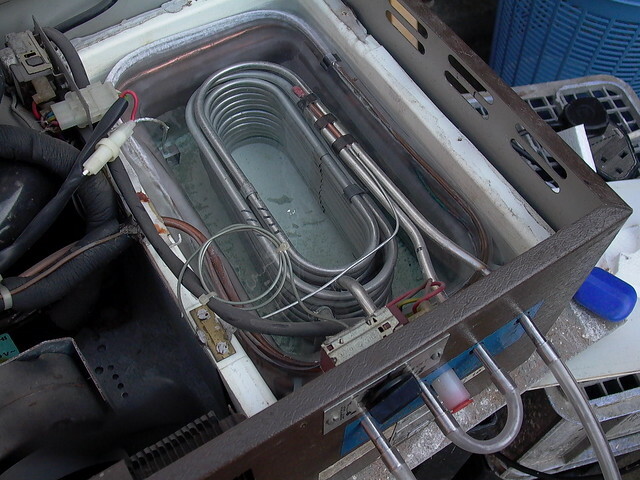 fwiw i replaced the agitator from the unbranded chiller with a small 3000l per hour 2m head submersible water feature pump simply dropped in the centre of the product coils. and used 10 mm soft copper microbore to provide the feed and return exiting through the side wall of the box. I have a maxi 310 too, very pleased with it although had to fix it a few times. The thermostat packed in and the replacement would have been expensive although I used the opportunity to fit an STC1000. Other problem was the fan motor packing in. I managed to fit another motor of similar size but it runs much faster so sounds like a jet engine starting up now! Overall though, great cooler and more than pleased with it! Thanks all! I've taken on-board all the useful snippets handling these things. As mentioned in my original post, I'll eventually find out myself which is quietest between the Maxi 310 and MF models, and I find the MF is considerably quieter (relatively; they are both pretty noisy). The Maxi 310 makes all sorts of "auxiliary" noises; like the pump seems to have a intake on the surface creating the random "sucking" noises and the pump/agitator howls compared to the MF. But the Maxi does appear better built. But they both do their job. My plan is to use the MF as secondary cooling when making beer (the current counter-flow cooler is great for getting the temperature of boiled wort down to 30C, but takes ages trying to cool down to 20C). I can also use the "python" lines for managing the temperature of the fermenter. The Maxi 310 will be for dispensing. But I'll probably use an STC1000 (or like) to replace the thermostat as the compressor seems to be permanently on and this appears a popular modification. And use some redundant PC water pumps (from the days when PCs were very noisy) on the "python" circuit for cask/keg cooling (allowing the noisy agitator to be switched off). 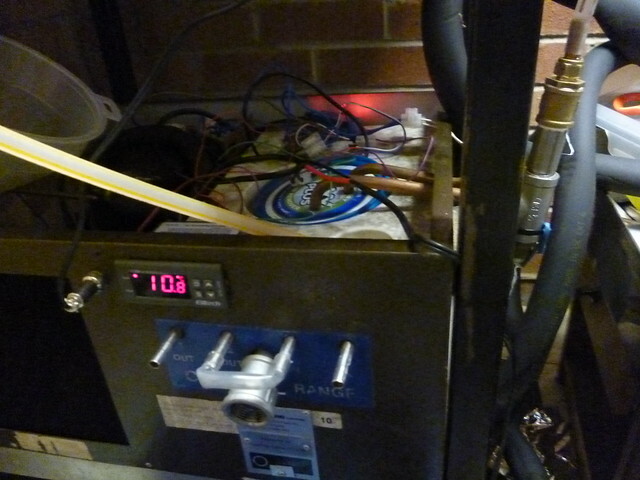 I've also got some flow controllers so I can put adjustable "shunts" (bypass lines) on the cooling coils to give some individual control over the dispense temperature - I hope, because left alone the beer gets flippin' cold running through these things. Plenty of tinkering to keep me busy.